I put my two garden traps out at Pwll on Thursday 15/11, which is very likely to be the last time I shall be trapping there; another trap was left out at my new `HQ` in the Stradey area on the western outskirts of Llanelli, abutting woodland and - unfortunately - houses. I did not have any joy in terms of scarcer migrants such as the gem that turned up at Maenol or the out-of-county Palpita vitrealis, caught by Barry Stewart in not too far away Gorseinon. 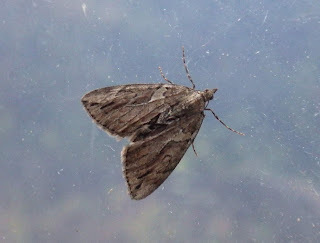 I did, however, catch a rusty-dot pearl and what I think is a turnip (I don`t have access to my moth i/d books for the next couple of days) and also several silver y`s as migratory representatives. 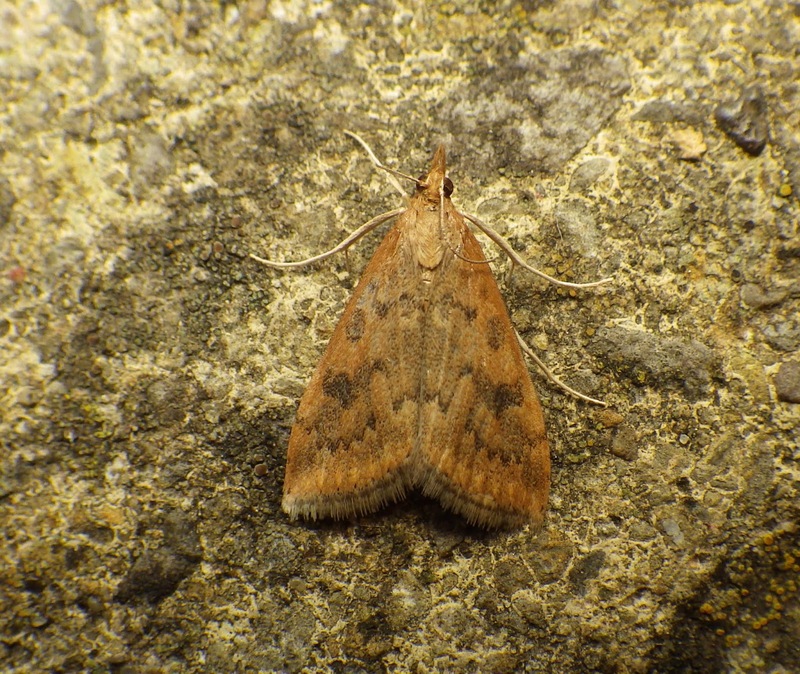 Other moths of interest were three satellites at Pwll, where my first winter moth of the season was also caught. Additionally, a cypress carpet was caught at both Pwll and Stradey, the latter location being a nice surprise. 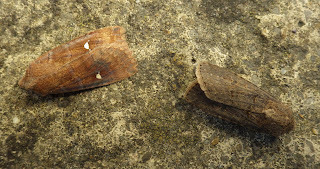 Ominously, numbers of other moths at the latter site were much lower (eg just one feathered thorn at Stradey compared to 16 at Pwll), and I also suspect that my days of getting `good` wetland and coastal moths at my garden trap site are now over (goodbye cream-bordered green peas etc!). I`ll have to do more away-from-home trapping in 2019. Above: a rather grainy in situ photo of the Pwll cypress carpet. Above: one of the three satellites caught at Pwll with the presumed turnip moth. Above: the single rusty-dot pearl that turned up at Pwll. Ian, regarding Turnip v Pearly Underwing, Barry made an interesting observation on my blog when I was faced with this dilemma on 21 October. It concerned white shoulder spots which Barry thought to be characteristic of PU, I looked at numerous online images of PU and Turnip and, sure enough, many of the PUs had the spots, but not so the Turnips. An interesting matter which might deserve further investigation. 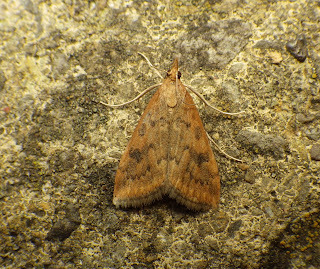 It was sad to hear that your new territory might not be as rich a source of moth species as Pwll has been, perhaps in time you will find that it's full of surprises! Whatever happens I trust that you will be happy in your new home. Also, Pearly Underwing has a more distinct 'Mohican' on the thorax. I'm pretty sure yours is a Turnip.